Our album, MELE O HĀLAWA, has made it to the preliminary ballot for the Nā Hōkū Hanohano Awards! It never dawned on me that writing songs might be, um… a bit challenging Ha! As soon as I realized what I’d said, I knew I was in for a wild ride! Thankfully, the soundtrack for the film included music by other folks as well. Pops, an accomplished haku mele (songwriter) contributed two songs to the album. And Molokai’s own amazing musician/producer, Lono, contributed two songs. With my own two compositions, we had six original tracks and we used traditional music from Molokai to round out the album. Each song was chosen for its own special reasons, making it a deeply personal collection of heart-filled songs from Molokai. One of the greatest things the album offers is a rare glimpse into the rich and diverse musical landscape of Molokai and Hālawa Valley. Some of these songs on the album have never really been heard outside of the valley! It’s intense! We recorded the tracks in marathon-style when I was on island for a week. Lono put together beautifully layered instrumental tracks. Pops and I sang our faces off in the studio. And then Lono finessed and produced the finished musical project in time for the songs to be woven into stunningly beautiful documentary, SONS OF HĀLAWA. What started out as a soundtrack for the film has become a legacy album–a way for future generations to hear, study and (most importantly) enjoy the music of one of Hawaii’s most beautiful and remote islands. It’s such an honor to see the album’s journey and the film’s journey, reaching audiences we never dreamed of. And it’s a blessing to know that future audiences, future generations, will be able to witness it all, too. Who would have thought that a kupuna (elder) from Molokai’s remote Hālawa Valley and a dude from New York City (along with the always-amazing Lonomusic!) would record an album together? MELE O HĀLAWA is a dream come true. The album is for sale online via MKAloha.com and Mele.com. Matt Yamashita (Quazifilms) made a fantastic music video for my original song, HEALING WATERS! The video originally premiered on Facebook on Thanksgiving day. (It’s been viewed over 3,000 times already!) That was something to be thankful for, for sure! I was excited to learn he’d recently posted it on Youtube, too. Now I can share it with you! More details about that and the film and the amazingly cool experience of attending the film’s premier at the Honolulu International Film Festival coming soon! Until then, kick back and relax and let your mind go to beautiful Hālawa Valley with this video. 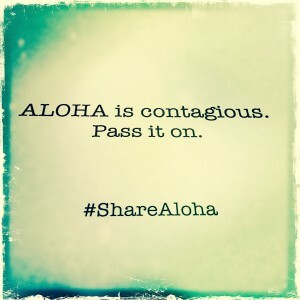 Sharing Aloha is something everyone can do. It doesn’t need to be a grand gesture. Taking a deep breath to center yourself before engaging in a conversation. We CAN make a difference in the world by starting with our own actions. Simply Sharing Aloha in our own way can make a diffence, one person at a time. A ripple effect, as the wave of Aloha spreads out and reaches more and more people. We need your simple acts of Aloha. Today. Right now. Always. 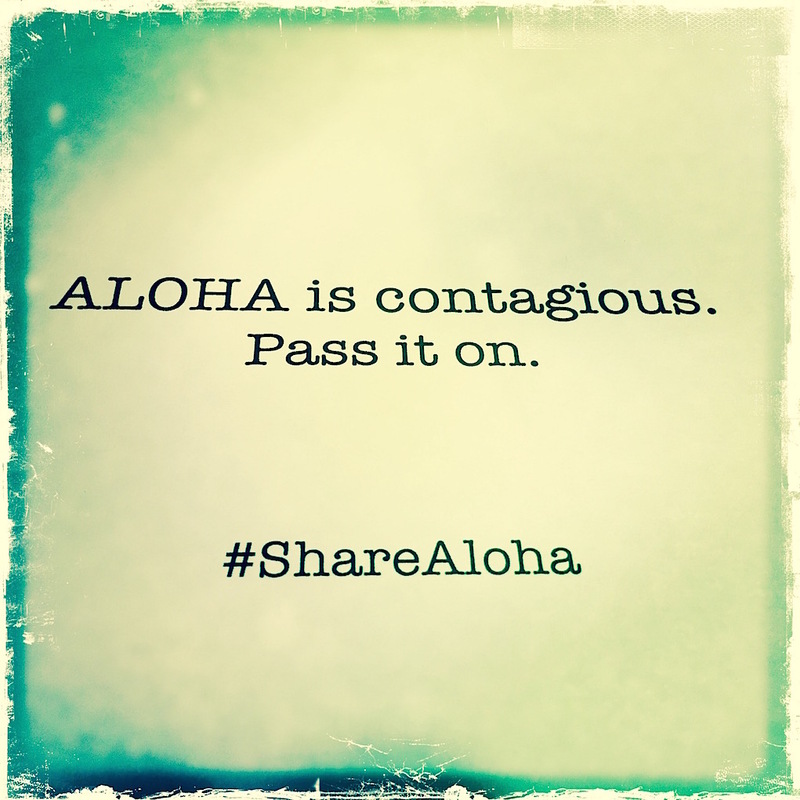 How can YOU share Aloha in the world today? *Please leave a comment. I’d love to hear from you. Sons of Halawa! The official movie trailer! The WORLD PREMIER!